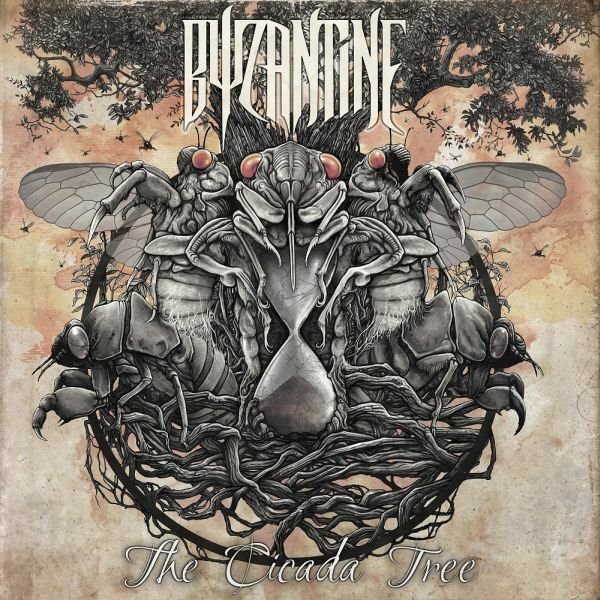 BYZANTINE - THE CICADA TREE (CD) | Online Shop | Wizard LTD. Album: "THE CICADA TREE (CD)"
On July 28th, BYZANTINE will release their new album, &apos;The Cicada Tree&apos;, via Metal Blade Records. The name BYZANTINE is synonymous with a band thriving in the underground for its whole existence. Heralded as the most underrated band from the New Wave of American Heavy Metal Movement, BYZANTINE has slowly gained a cult-like following after releasing 5 genre-bending albums. Now, Metal Blade Records has given BYZANTINE the chance to show their talent on a bigger stage and the band has responded with &apos;The Cicada Tree&apos; - the culmination of many years of musical craftsmanship and resounding songwriting. 16 years underground, it&apos;s finally time for the world to hear BYZANTINE. To state that &apos;The Cicada Tree&apos; is "classic Byzantine" in no way implies that this is an album solely rooted in the band&apos;s past. Certainly, all of the hallmarks that have made their sound so compelling for close to two decades are present and correct: muscular yet lithe riffs and fluid leads play against gripping, dynamic and at times unpredictable rhythms, while rich melodies and lyrics that are both involved and intelligent wind their way through every track.